What Are YOU Doing On Earth Day 2014? Every year on April 22, over a billion people in 190 countries take action for Earth Day. Why not you? 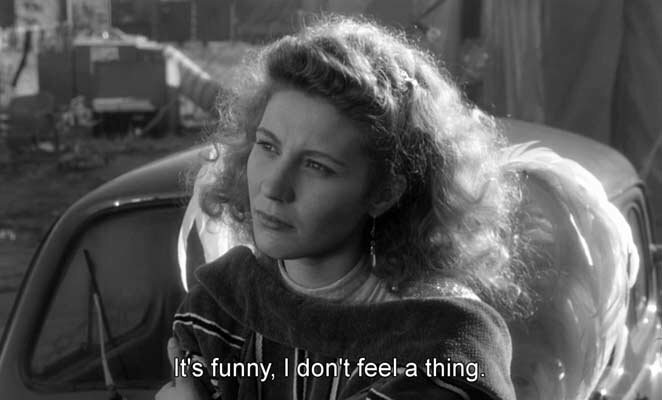 Because LIFE is NOT a spectator sport. And if we want to maintain life on earth as we know it today, we ALL must participate. Did you know that, according to Wikipedia, Senator Nelson chose the date of April 22 to maximize participation on college campuses for what he conceived as an “environmental teach-in”. It’s also the day after the anniversary of the birth of noted conservationist John Muir. Let’s return to Senator Nelson’s original vision of a “teach-in”! or create your own Earth Day event! 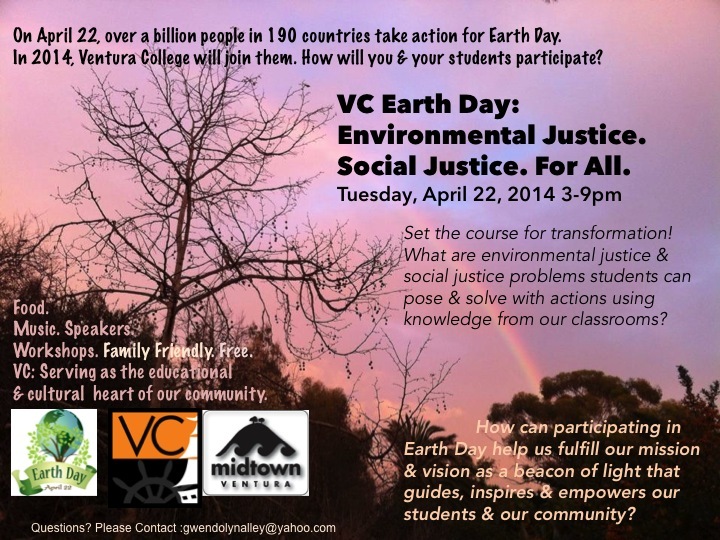 This fits in well with a concept of a Ventura College Earth Day where our students can share their research in Environmental Justice and Social Justice. What might be a logical extension from your classroom? Might there be a service learning component? Could student research be presented with a poster or table? Perhaps instead of individual projects, there could be a group project or a class project? How might an assignment that is already in the works be adapted for sharing with our community on Earth Day? Faculty could work with their students to teach attendees about subjects as varied as carbon footprint and why it matters, to nutrition, art, dance, music and more. Entertainment/edutainment could include VC music and dance students as well as guest speakers and musicians.